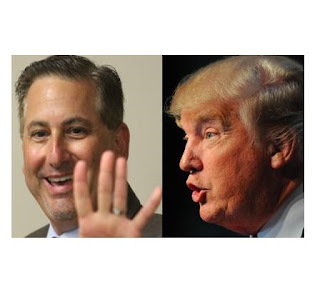 Eye On Tampa Bay: Kriseman on Trump is that what you elected him to do? Now is time for leadership from public officials not late night cute tweets. Pete Mayor Rick Kriseman, perhaps spending just a bit too much time online, couldn't resist the opportunity to jump on the latest Trump statement regarding US domestic terrorism. Guess we won't be seeing anyone named Trump vacationing here for a while. You would think that the Mayor of a City whose administration dumps raw sewage into Tampa Bay and Clam Bayou, can't seem to get the $40 million Pier Park project name right, has five failing schools in his jurisdiction and a continuing poverty and crime problem on the south side of his City could put his time to a bit better use. While the Tweet obviously is generating a lot of humorous and serious attention, those of a more conservative bent, making winter vacation plans might also consider themselves' unwelcome. Sarasota is nice this time of a year. Am I all in on Trump's latest comments? Not necessarily. However, I do wonder how clever the Mayor would be if the events of San Bernardino had taken place in Tampa or St. Pete. We face a serious threat in this country, far beyond anything any of us have ever seen. It's pretty easy to jump on a suggestion as seemingly over the top as Trump's latest remarks, but given a couple of more of these incidents that could easily change. Now is time for leadership from public official's not late night cute tweets. Grow up Rick...you have a serious job to do.